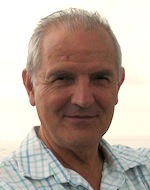 Neil Sorrell is the co-author of A History of Singing (2012). He was a recipient of the 1999 Hafiz Ali Khan Award, an international award in recognition of contributions to Indian classical music. He co-founded and directed the English Gamelan Orchestra, the first group of British musicians dedicated to the study, composition and performance of music for the Javanese gamelan.